Traveling alone can be an incredible experience, especially if you’re someone who has always traveled with a friend or family member. You’ll have the ability to see everything you want to see, have new experiences, and explore the world in a far more cost-effective manner. With that said, it is also important that you take safety into account, as traveling solo can be intimidating and dangerous for many. With the help of these practical tips, you’ll have a better idea of how to stay safe while abroad. It can be very tempting to find the cheapest place to stay while traveling. At times, the least expensive locations are typically the least popular. It’s always important for you to find accommodations that have plenty of ratings for you to read through. You’ll want to get an idea of the experiences many other travelers have had while staying that particular hotel, hostel, or rental home. In today’s day and age, WiFi is more of a necessity than a luxury, especially if you’re abroad. You would be surprised at the sheer amount of extra charges you’ll have on your phone if you use roaming. The internet gives you access to everything you need, ranging from being able to call home to being able to search for directions to specific establishments. 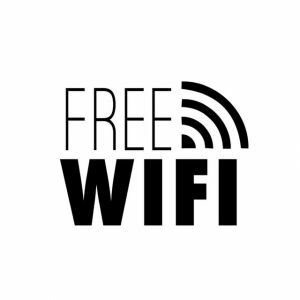 It’s always best to find it for free, however, if you have to pay, it’s likely less expensive than adding a traveling package to your mobile plan. Travel insurance, much like any other type of insurance, is something plenty of travelers think they don’t need. However, it can be a real lifesaver in plenty of situations. Imagine you accidentally tripped and injured your ankle. Instead of attempting to book a last-minute flight or paying for hospital fees, you’ll have insurance to fall back on. Travel insurance helps to cover prescriptions, hospital costs, and more. You need to make sure you’re fully protected, especially if traveling on your own. When you’re booking your trip, you’ll want to make sure you choose destinations that are fun for people traveling in groups and traveling alone. This can help you feel more comfortable doing different activities that are outside of your comfort zone. Additionally, there’s a higher chance that you’ll be able to meet other solo travelers to make your experience more exciting. 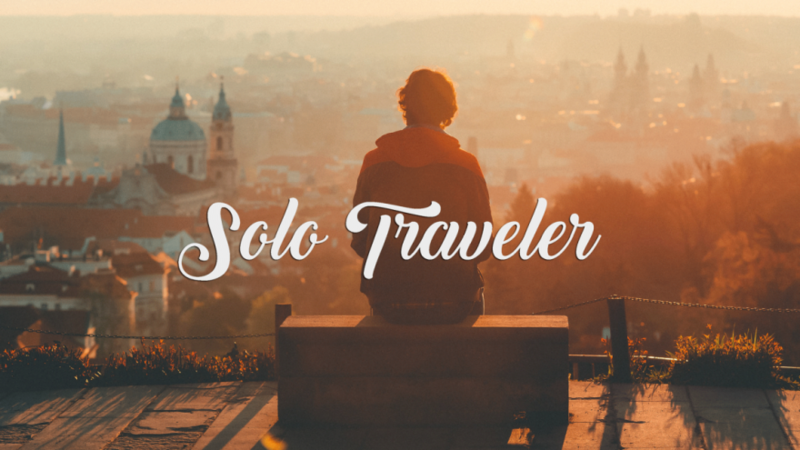 Out of all of the solo traveling tips on this list, this one is the most important. No matter where you are visiting, it is imperative that you leave your valuables at home. For locals, it’s easy to pick out people who aren’t from that area. Also, as a tourist, you might find yourself in places that are notorious for pickpockets and you’ll have no idea. You won’t even want to leave your valuables unattended in your hotel room in a foreign locale. One of the most difficult times of day when traveling solo is when it comes time for meals. You won’t have the ability to enjoy a conversation with a friend or family member, like the other people dining around you. However, meals don’t have to be a lonely experience! Instead, become a regular at a restaurant that has food you enjoy. You can strike up a conversation with the wait staff and other patrons around you. This can also give you some semblance of routine so that you don’t feel too homesick while traveling. It’s likely you won’t want to rent a car for your entire trip, especially if you’re backpacking. It can be far more cost effective and adventurous to walk and take public transportation. With that said, you also need to be safe when venturing from one place to another. 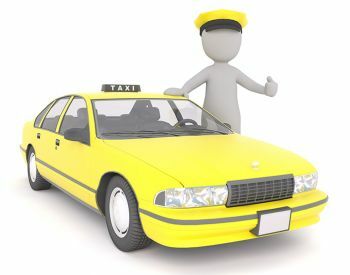 If you know you’re going somewhere at night, it’s far better to rely on taxis than to try to walk around. However, during the day, it’s safe and cost-effective to take popular streets to tourist locations. Having a plan in place is another important aspect of traveling alone. Even though it might seem interesting to go to a local club or bar on your own, it’s certainly not recommended. It’s okay to enjoy one or two drinks, but you should always keep your wits about you. This rule also applies to if you were to go out on your own at home, so it should also apply when you’re abroad. You’ll want to be able to mingle with the locals but to still know if you feel uncomfortable and need to leave a situation. Additionally, you don’t want to deal with the struggle of stumbling back to your accommodations and being unable to find your way. As mentioned, plans are your best friend when you’re traveling solo. This is the first time you’ll be able to visit all of the attractions that you want to see. You’ll want to sit down before you leave and make an itinerary of all of the things you want to do. We also recommend leaving a copy of this itinerary with a friend or family member before you take off. There are hundreds of amazing things you can experience when you visit somewhere new and you’ll want to spend your time wisely. This is especially important if you’re visiting a country where you don’t speak the native language. Every traveler, whether alone or in a group, should have a list of emergency contacts. It’s recommended that you leave a copy in your hotel room and also keep a copy on yourself. In the event of an emergency or if your belongings are lost, the locals will know who to call and get in contact with. Traveling solo is a fantastic way to spread your wings and experience everything the world has to offer. Not to mention it’s a great way to have cultural experiences that you’ll never forget. With the help of these 10 practical tips, you’ll be able to enjoy your time abroad meanwhile staying safe.